Rod wrote: “Thanks so much for doing this for me. When I was 10 years old, I was watching the news with my parents. When films showed Birmingham fire hoses turned on blacks (coloreds as my dad called them) protesting their lot at the time, I asked my parents why that was happening. They explained that the coloreds were not allowed to eat at the same counters, drink from the same fountains, use the same rest rooms, etc. I vividly recall going to my room in which my side was plastered from floor to ceiling with pictures of my hero, Henry Aaron, all carefully scissored from sport magazines and newspapers. Honestly, it was the first time I realized that my hero was “colored” and I though how sad that Mr. Aaron could not sit with me in a restaurant at the same table. Since then, I realize how fortunate I was to choose a hero at the age of four and to have never been let down by him. 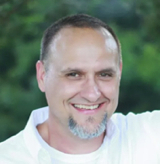 Mr. Aaron has been the personification of dignity and grace. Having named my son after a man and using the number 44 so often in my work, I realize now how risky that was, especially in light of the recent removal of a statue of another sport icon. 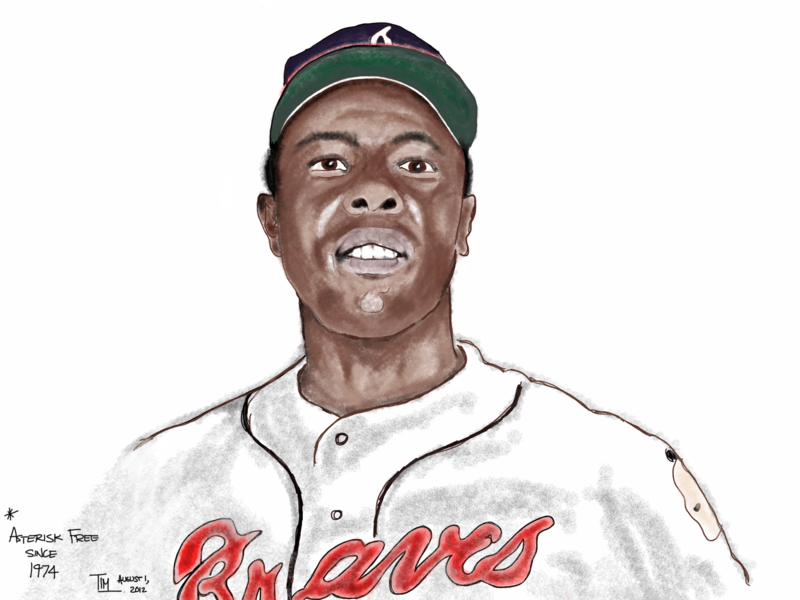 This entry was posted in Drawings - Tim Melton and tagged 44 Productions, Atlanta Braves, Hank Aaron. Bookmark the permalink.